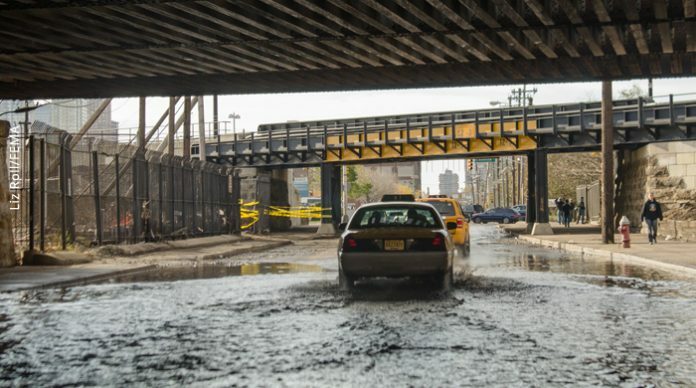 GWYNNE HOGAN / WNYC – A bill currently awaiting New Jersey Governor Phil Murphy’s signature could create what critics are calling a “rain tax.” But supporters of the Clean Stormwater and Flood Reduction Act say it will help to curb the state’s biggest source of water pollution: storm water runoff. It will help manage runoff by allowing towns and cities across the state to collect fees from property owners based on the amount of impervious surface (parking lots, roofs, sidewalks, etc.) they have. Next articleA ‘Green New Deal’ sounds like pie in the sky. But we need it.